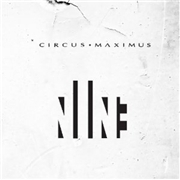 Since their debut ”The First Chapter” (2005) CIRCUS MAXIMUS has released the smashing ”Isolate”, so anticipations are rather high for this new album. The band has reached an incredible status in those relatively short years, boosting incredible musical abilities, as well as a vocalist to match in Michael Eriksen. And who can be disappointed in this album when it comes to the instrumental parts, or the vocals at that. From the first pompous sedate moments of “Forging” until the emotional melody of “Last Goodbye” rings out, there is nothing more to be had in terms of musical endeavors. It sure is a fact that the soft neatness of “Namaste”, the superb arrangements of “Game of Life” and the increased pace and varied style of “The One” will be the finest moments of 2012. But there is also the somehow less engaging Eastern influences of “Architect of Fortune”, the somewhat less inspired and at times lethargic “Burn After Reading” as well as the emotional but occasionally strangely void “Last Goodbye”. There is the near pop, or RUSH tinged, “Reach Within”, or the punchless euphoria the overly soft “I Am”. What I am trying to convey is that the album is on the highest possible level of musicianship, but that the lacking of stamina at times is almost only comparable to YNGWIE MALMSTEEN`s strangely void but still masterful albums. I was hoping for a fuller feeling inside, but after many spins the feeling is still satisfied but lackluster…in an odd way.